I used to post my achievements and screenshots on my Facebook page and would create Notes on Facebook when I wanted to spill my thoughts about game-related things. However, not very many people on my friends list there play WoW so I mostly got comments like "What is this?" or "I don't understand." It was impossible to explain because they really needed to be WoW players to know what I was talking about. So rather than get weird "looks" from my Facebook friends every time I post WoW stuff (which was often) I decided to create a blog where I could freely express my thoughts on the game. Honestly, if you're reading this, there is a 99% chance that you play so you'd know what I was talking about. Here is an example. I was fixing my UI the other day when a friend texted me to ask what I was up to. So I told her, "I'm fixing my WoW UI; so many mods still haven't been updated since the patch dropped." It's a perfectly normal sentence. You understand what I just said, right? Well, she doesn't play WoW so I think I received from her the text equivalent of a blank stare. 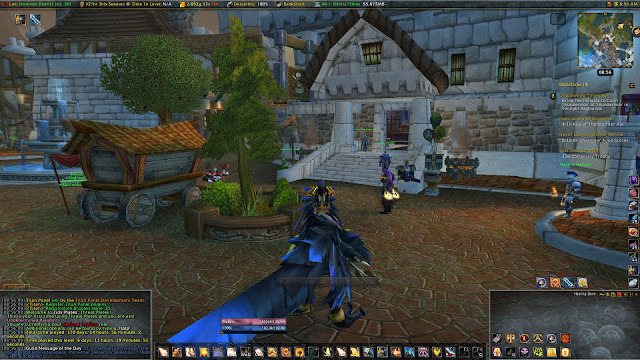 And while we are talking about UIs and why I can't post screenshots of WoW stuff on my Facebook, I will post them here. Since I had to sort of redo my whole UI to accommodate new mods that I'm trying as replacements for mods that haven't been updated, I figured I might as well try a new layout for my UI as well. I get some folks who ask me why I like going through the trouble of messing with mods every time a major patch drops. It's because I absolutely hate the stock WoW UI. Back in vanilla, as soon as I heard from a guildie that there were mods to change/enhance the game's UI, I installed them. 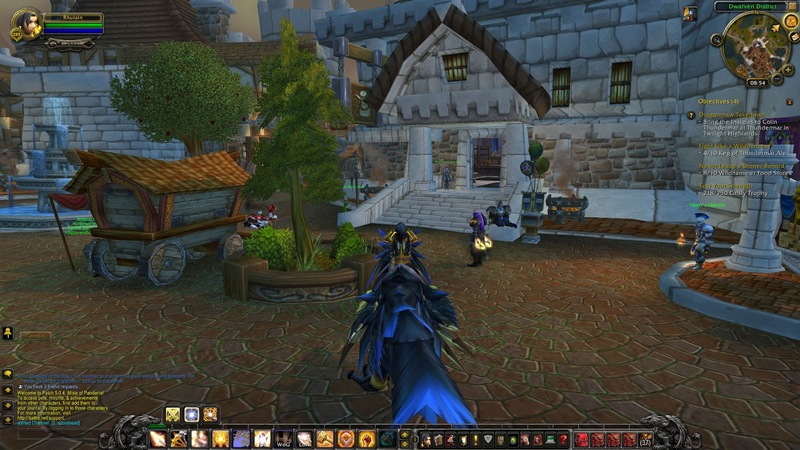 And back then, the stock UI was ever more bare-bones than it is now. Time for some before-and-after pics. When I can play like this? Come on, now... It's all about aesthetics.